Nail polish is my favourite thing to buy and wear, it even trumps make-up for me so thought I'd do the nail polish tag. Like the Seven Deadly Sins tag, this one translates well into a blog post even though it's primarily done in video. No question about it, OPI. I love the colours, the formula and the names. They are expensive but I either buy mine in the ASOS sale or on ebay. 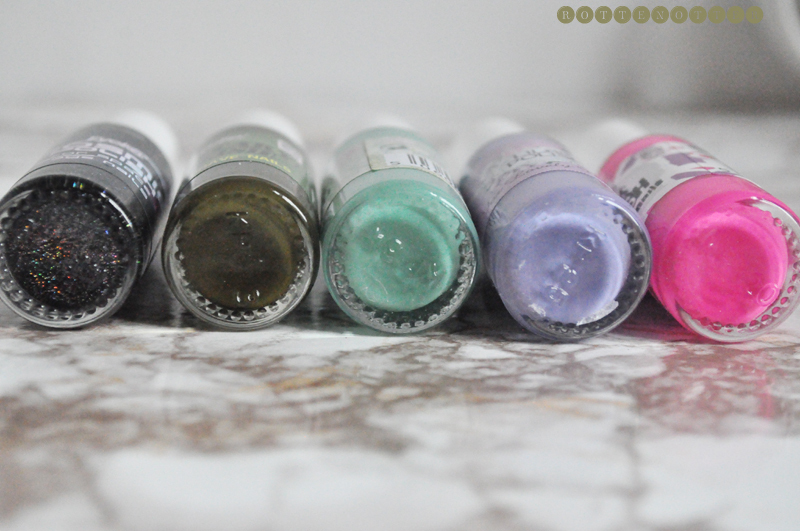 The mini bottles are a great way to try out colours before buying the full size as well. 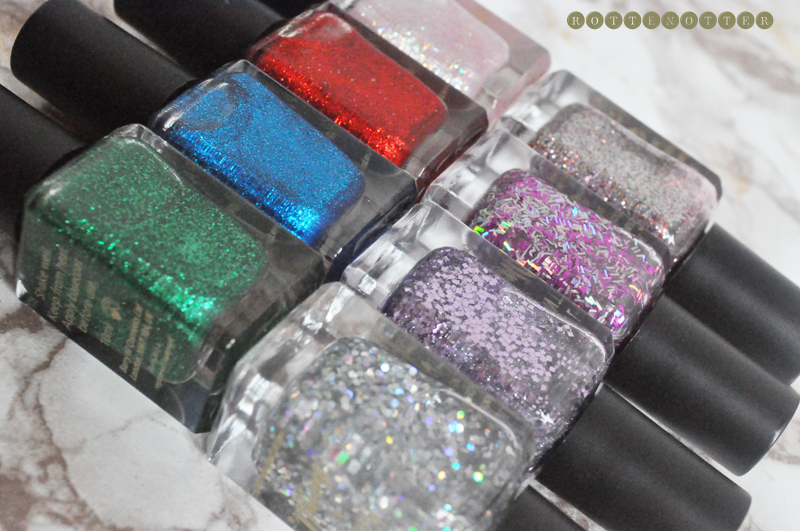 I love glitter, I don't always wear it as I hate taking it off but it's perfect to make a manicure look more interesting and hide any chips to get another days wear out of it. 3. 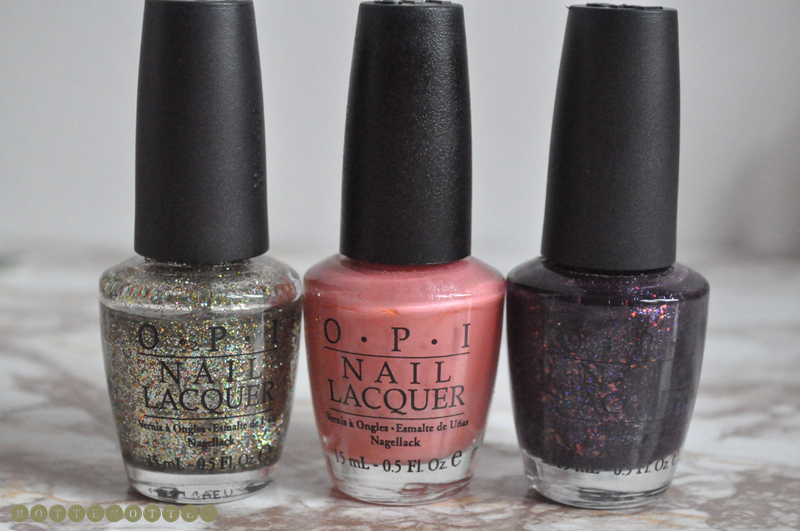 OPI, China Glaze, or Essie? What's your favourite drugstore brand? I've changed the question for this one as I've already answered this as number one and as I really like cheaper brands as well I went for my favourite. 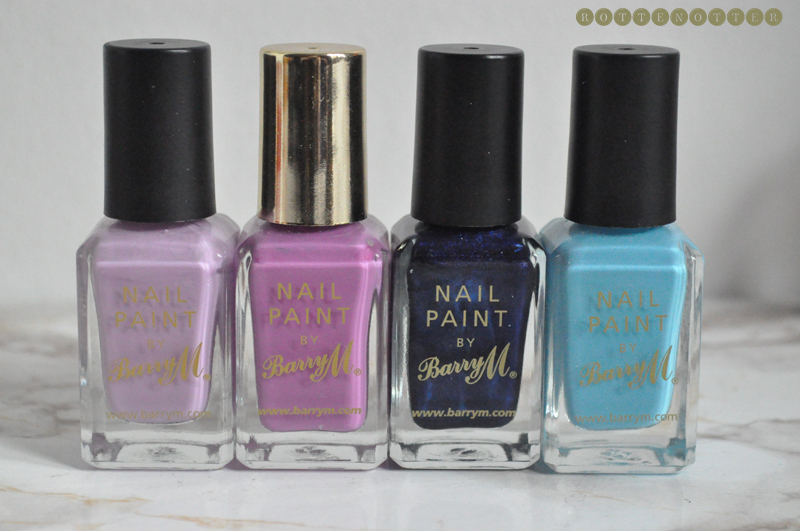 Which has to be Barry M, they have such a great selection of colours and for the most part the formulas are good. 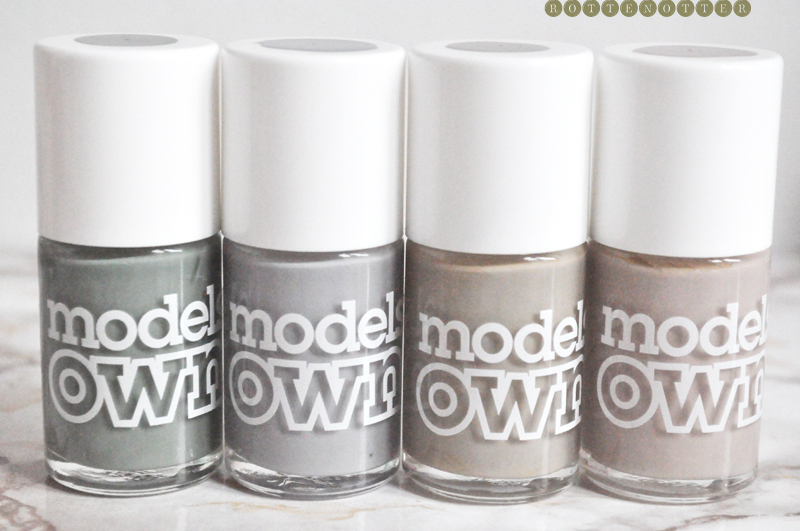 My answer would have been Models Own but the formula of the polishes I bought recently have been horrible. I usually change my polish every other day as I get bored of the colour easily and like a change. Also polish chips easily on me so it's the only way to keep a perfect manicure. I really like to wear muddy dirty colours as I find they suit my skin tone. 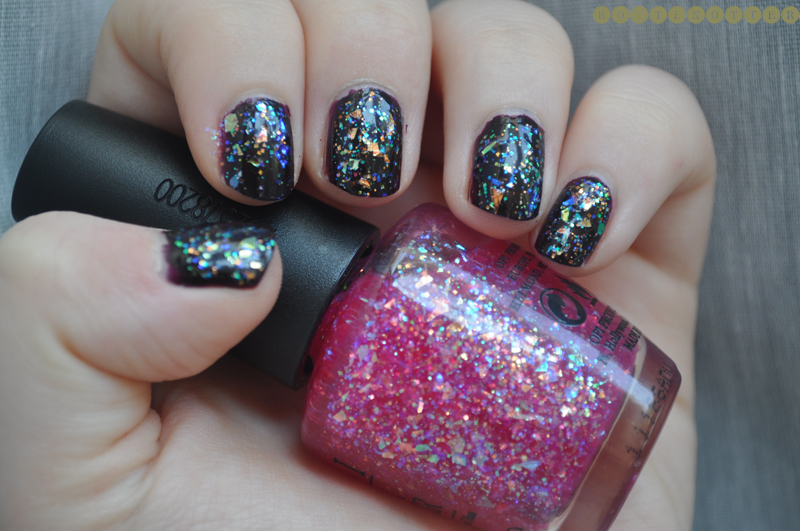 They also look great with a glitter topcoat. Both although I also love pastels and the inbetween colours. I usually wear brighter colours on my toes. 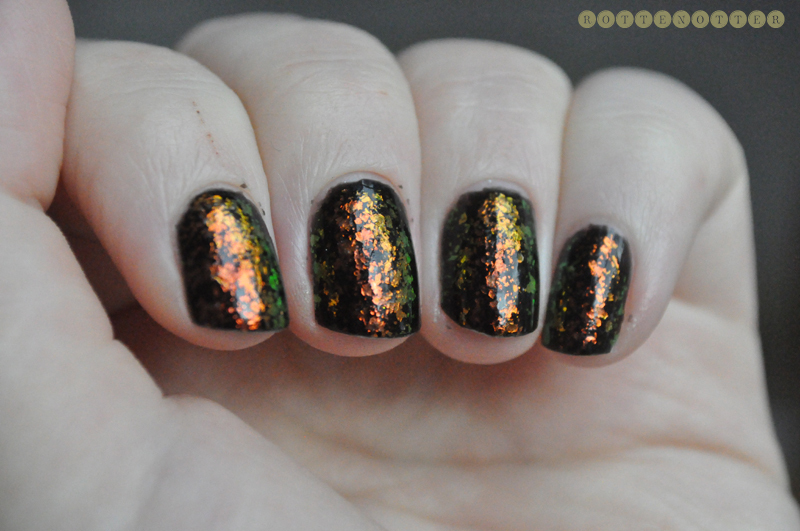 I'm currently wearing Gosh Rainbow over Barry M's black. 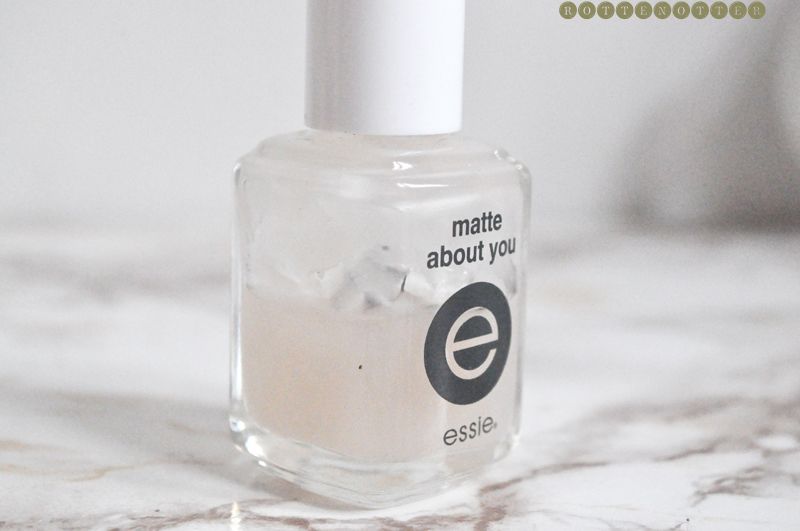 You can see how much I like matte nails by how much I've used Essie's Matte About You. I've used about half the bottle! I don't tend to buy matte colours as I have this and can turn any of my polishes matte. I like it but never wear it. I much prefer coloured polish especially if my nails are stained or in bad condition. It's more forgiving. I have so many favourites but I really love OPI I Lily Love You over a dark colour.